A researcher has discovered what may be the earliest purchase of a Jane Austen novel. The customer was the man who would become George IV, i.e., the Prince Regent, who was basically a character out of Jane Austen—specifically, one of the overblown, money-wasting ones who just gets ruthlessly mocked for four hundred pages. This month a graduate student working in the Royal Archives in Windsor Castle came across a previously unknown 1811 bill of sale from a London bookseller, charging the Prince Regent 15 shillings for a copy of “Sense and Sensibility,” Austen’s first novel. Oddly, the transaction took place two days before the book’s first public advertisement — making it what scholars believe to be the first documented sale of an Austen book. Not only did the Prince Regent purchase the book, he preordered it. The Prince Regent was basically on Jane Austen’s social media street team. (“Did the Prince Regent pay full price?” Austen scholar Janine Barchas asked the Times.) 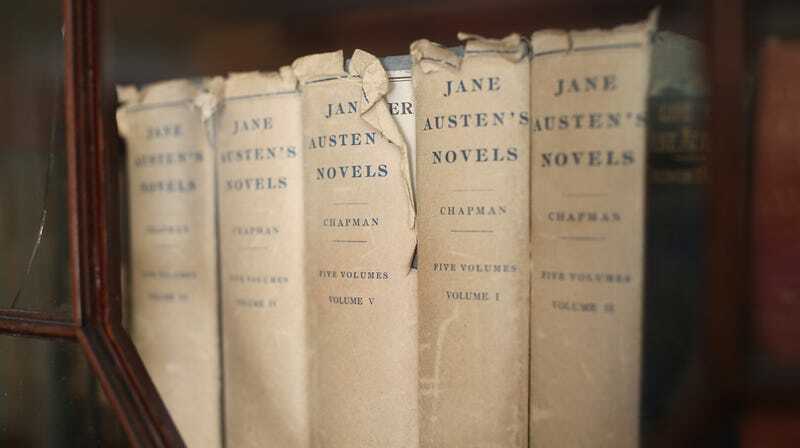 Alternatively, there’s another, perhaps even funnier explanation: “It certainly shows that the people procuring books for him had good taste,” said Devoney Looser, author The Making of Jane Austen. Imagine getting your boss into Jane Austen, knowing that he was basically a Jane Austen character and wasn’t self-aware enough to realize it. The Prince Regent was known to have literary interests, if not necessarily of the high-minded sort. In 1788, the same year his father became incapacitated by mental illness, the prince secretly bought the newspaper The Morning Post, to stop it from publishing embarrassing information about his love life. And let’s not forget the Royal Pavilion at Brighton, which ranks somewhere near Neuschwanstein Castle for sheer eat-the-rich royal effrontery. Austen is on the record as disliking the Prince Regent; she once wrote in a letter about his wife: “Poor woman, I shall support her as long as I can, because she is a Woman, & because I hate her husband.” Nevertheless she’d eventually be convinced to dedicate Emma to him. “To his Royal Highness, the Prince Regent, this work is, by His Royal Highness’s Permission, most Respectfully Dedicated by his Royal Highness’s Dutiful and Obedient Humble Servant,” she wrote, sounding like somebody being fed lines from offstage. A perfect historical Easter egg!